Almost new 2,257 sq ft 4 bed, 2.5 bath, DEN, with 3 CAR GARAGE in the Peoria School District close to shopping & dinning is now ready for you!! ALL APPLIANCES INCLUDED! 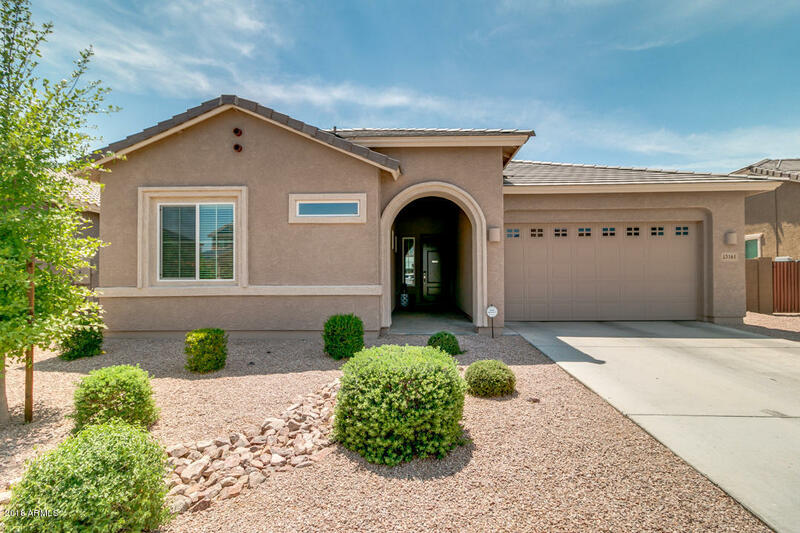 Beautifully upgraded interior with 10 foot ceilings & 8 ft doors, Great room, SPLIT FLOOR PLAN, neutral paint through the entire home, & SOFT WATER LOOP. Den could easily be 5TH BEDROOM! Open kitchen is perfect with GAS STOVE, an expansive island & breakfast bar, pantry, stainless steel appliances, & ample upgraded cabinets throughout. Cozy master bedroom offers DUAL walk-in closets, DOUBLE sinks, makeup vanity & SUPER SHOWER big enough for a T-Rex!! Peaceful backyard has covered patio & synthetic TURF perfect for spending a relaxing summer afternoon or run wild on the jungle gym! This one won't last long so call today! !